This post is by Lorna Franklin, an Account Manager at SimulTrans, a leading localisation company providing services into over 100 languages. With a degree in translation studies, a postgraduate diploma in digital marketing and experience driving international sales in a successful ecommerce business, Lorna has a passion for international ecommerce and the art of providing a localised experience for global consumers. The beauty of the internet and the growth of cross-border trade is that small businesses and large corporations are now on an even playing field when it comes to selling globally. There is just as much opportunity out there for SMB’s to establish themselves as a dominant player in their sector as there is for their larger competitors. But with growth slowing in developed ecommerce markets, and even the “first tier” of emerging markets like Brazil and Russia, it may be time for smaller retailers to start thinking about newly emerging markets. Enter an emerging market early, and you may be able to establish yourself long before your competitors arrive. In this article I’ve picked out three markets which, based on some really promising growth statistics, might be worth keeping on your radar. With a 47% growth in internet users in 2015, Thailand is fifth place in terms of internet usage growth in Asia Pacific, and with an average of 5.5 hours spent online per day, it is just after the Philippines with the most amount of time spent online. Social media is taking South East Asia by storm; Thailand being home of arguably the largest population of instagrammers in the world with almost 2 million engaged users, and Bangkok only behind New York as the most instagrammed city in the world in 2013. Although ecommerce is still underdeveloped in South East Asia, a report from AT Kearney suggests that it could grow up to 25% annually, and could accelerate twice as fast as growth in the mature ecommerce countries in Europe, the USA and China, helping to close the current gap. Support for emerging local players i.e. improving access to finance for SMB’s, promoting awareness of ecommerce and employing digital talent. Promoting e-payments by encouraging non-cash transactions. Improving logistics framework and trade efficiency. The points listed above are definitely a work in progress, and if China’s growth over the past 8 years or so is anything to go by, once these barriers are removed it’s safe to say South East Asia could be the next ecommerce powerhouse. Travel, Hotels and Fashion are currently the most popular online purchases, so we should start to see some real growth in these industries in the coming years, particularly as internet penetration increases. 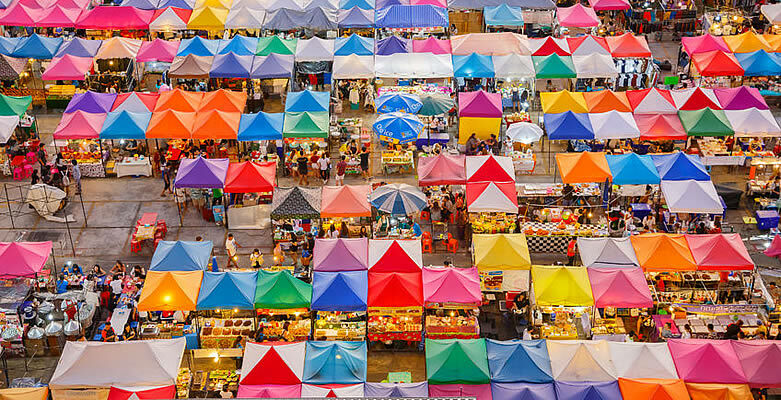 As with most of South East Asia, the risk of fraud is a big fear for Thai consumers, so until scepticism towards online payments change, alternative methods of payment will be key in appealing to this market. Zalora’s localized approach in providing cash on delivery as an option for payment has aided its success in Thailand. This method now accounts for 60% of transactions and they have recently launched a new method where customers can pay at participating stores via a QR code. Keep your “Western” brand image, but with a localized feel. Don’t feel the need to market yourself as a local brand in order to succeed. International brands like Amazon, Ebay and Groupon are generally more successful than local brands in South East Asia, as they are perceived as more trustworthy. Consumers tend to be more sceptical about buying online goods from local sellers, which gives Western brands a competitive advantage. The logistics process in South East Asia is still fragmented and underdeveloped; stand out from competitors by striving to provide hassle free delivery and returns. Scope out the right delivery partners like DHL, who plan on investing $180 million in doubling its supply chain and ramping up its warehousing capacity. Social listening will be a goldmine in determining how to appeal to this audience. If you sell clothing or homeware, tapping into the social sphere with visuals will be a great way to engage with your audience. Maximise your localized marketing budget by advertising on high traffic ecommerce sites like Lazada, Weloveshopping and Zalora for increased exposure. Interestingly, Indonesia has one of the highest populations of internet users in the world, higher than Spain and Italy combined, and spending an average of five hours or more per day online, they are even more addicted to the internet than their Chinese neighbours. Like Thailand, in terms of gaining brand awareness among young people in particular, there is no doubt that social is the way to go. 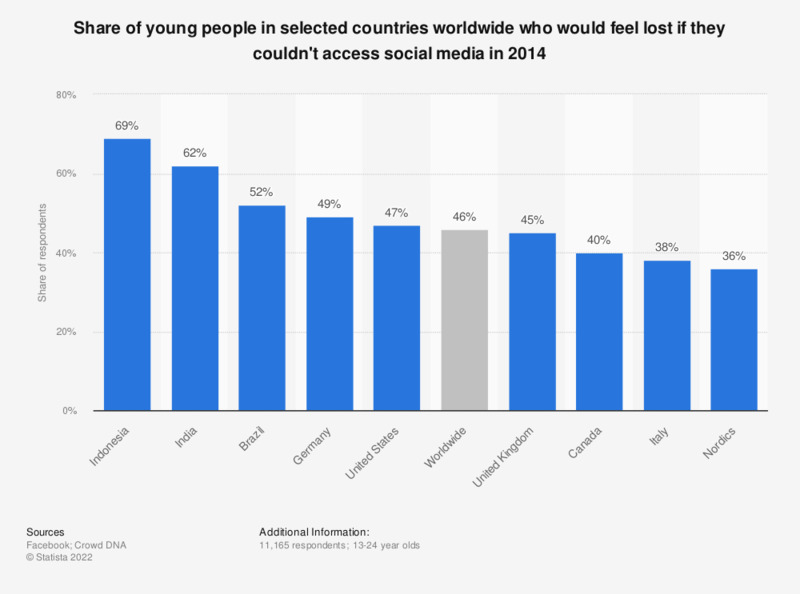 Almost 70% of Indonesian 16-24 year-olds agreed that they would be lost without access to social media, over 20% more than the tech-obsessed millennials the USA and the UK … I must say, I did not think that was possible. As growth in developed markets stabilizes, big companies like Alibaba and JD are seeking out new opportunities for growth in South East Asia, while Amazon and ASOS are already counting countries like Indonesia and Thailand as their fastest growing markets. While the number of online shoppers in Indonesia has grown from 4.6 million to 7.4 million this year, there is still huge potential for further growth according to the aforementioned AT Kearney report, forecasting its growth potential to reach 25-30 billion providing the five barriers to growth are removed. Social media and messaging platforms are the preferred method of online shopping; as with the Thai market, if you’re thinking of targeting Indonesia, it’s definitely time to sharpen your social strategy skills. Be careful though, a lack of trust regarding payments is a big concern for Indonesian shoppers, which could be the reason for their dependence on social media to interact with other consumers. An average of 2.5 hours is spent browsing the web on mobile in Indonesia each day; make sure your localized website is optimized for mobile and your product pages and other content are the appropriate length for optimum engagement. Translation technology such as Smartling can help streamline this process. Make trust and security your main priority. As the highest population of social media addicts in the world, you want to make sure that you gain the loyalty of these social savvy consumers, through brand transparency and a clear focus on “speaking their language” in order to succeed. Indonesia is the fastest growing Twitter population in the world. Gain consumer trust with a localized social media presence, don’t just create translated versions of your English page and expect it to work. Social has some great potential in this market if done correctly, and considering these consumers have a harder time developing trust, you’ll want to resonate with them as much as possible. It is always preferable to localise into Indonesian where possible, however it’s better to keep your content in English rather than have poorly translated Indonesian. Unless you are committed to providing high quality translations or locally written content, going all the way with localisation may do more harm than good. Take tips from successful brands like Lazada, Rakuten Benjali and Tokopedia for best practice on creating a localized ecommerce experience. South East Asia is still very much in its ecommerce infancy, so even though companies like Lazada are successful now, it’s unlikely that any company has stacked lasting claim on the market share, like Taobao or Tmall in China. Take tips, but don’t be fooled into mimicking the strategies of other players in a bid to win. In such a raw ecommerce market, everyone is still learning and exploring, meaning it’s important to be agile. If others haven’t pursued a certain route yet, it doesn’t mean it won’t work, so prepared to jump on any potential opportunity. 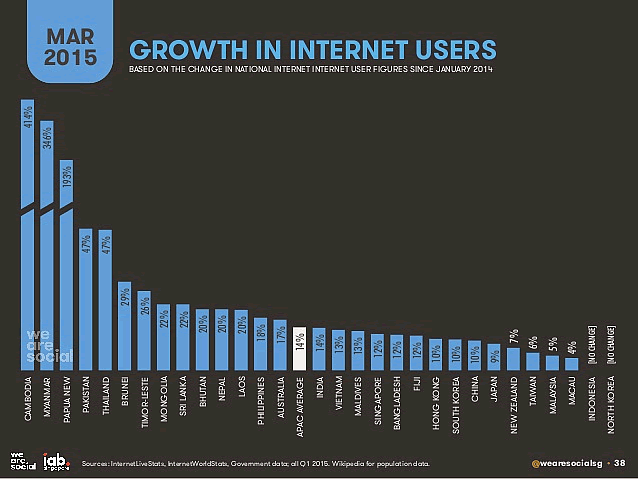 A smaller market than Thailand and Indonesia of course, yet I feel it deserves a spot on this list as a country which is finally beginning to show signs of online growth, with an internet penetration rate of 50% in 2014. 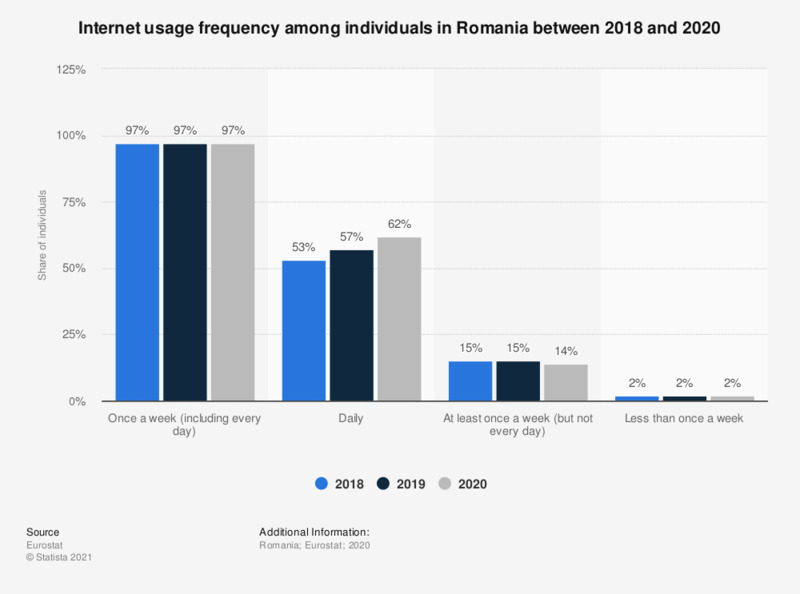 Romania may have the second highest percentage of people who have never used the internet, but in contrast to this, most of the 19.7 million population use the internet at least once a week; not far behind countries like Portugal, Italy and Greece, which are perceived as more valuable global ecommerce markets. 2014 was a year of real movement in terms of Romanian ecommerce growth. Although the market is a lot slower in comparison to more developed EU countries, 2015 showed significant growth compared with figures in 2013. The fact that the Romanian ecommerce market doubled in size in just one year is an indication that despite being a smaller market, growth is happening, and it’s happening fast. Currently, the categories with most potential are Information and Technology, Home Decor, and Fashion, which brought in 140 million of the total 1.2 billion euros in ecommerce sales last year. One success story is US cosmetics brand, Avon, (turning over 100 million in Romanian sales in 2012), who launched their Romanian website in 2013; changing from the usual method of selling only through its network of representatives. In a bid to promote their brand, they cleverly capitalised on the growth of the online fashion and beauty industry in Romania by harnessing Romania’s growing network of fashion bloggers and founding the annual Digital Divas Conference and Awards Ceremony. Sponsored by some of the world’s biggest brands, the annual conference highlights and presents awards to some of the best fashion bloggers in Romania, drawing attention to their brand whilst also increasing hype around digital growth and innovation. Although the market share in Romanian online retail may not be large enough to invest in just yet, this is definitely one to keep an eye on. Romanian consumers are bargain lovers, with Black Friday alone racking up 75 million euros in online sales last year. Do your research on the most popular products for this market and make sure your product listings and ads are optimised to draw attention to low prices and offers. With quite a low internet penetration rate, try prioritising your marketing spend for offline strategies to help migrate potential consumers to your online products or services. Similar to Thailand and Indonesia, with over 90% of online shoppers preferring cash on delivery, you won’t be able to escape offering alternative payment options for your Romanian customers. Have a look at the current most successful brands like Lidl, Avon and Aqua Carpatica; and the type of language and tactics that they use to engage with the Romanian audience. It’s almost the norm now for ecommerce SMBs to sell internationally. The dominance of online marketplaces like eBay and Amazon has made it easy for foreign consumers to buy from businesses on the other side of the world. These cross-border traders are often focused on developed ecommerce markets in the West: Europe, North America and Australasia. But the rest of the world is catching up with fast internet connectivity, more take-up of electronic payment methods and greater consumer trust in buying online. Many countries that were once thought to be irrelevant will one day, perhaps quite soon, present a genuine and profitable ecommerce opportunity. Small businesses with the flexibility and open-mindedness to take advantage of that could become the multinational enterprises of tomorrow.